March is officially gone and we are saying our 'hellos' to April. We are looking so forward to more time spent outside, the beginnings of gardening, and a lot more sunshine! 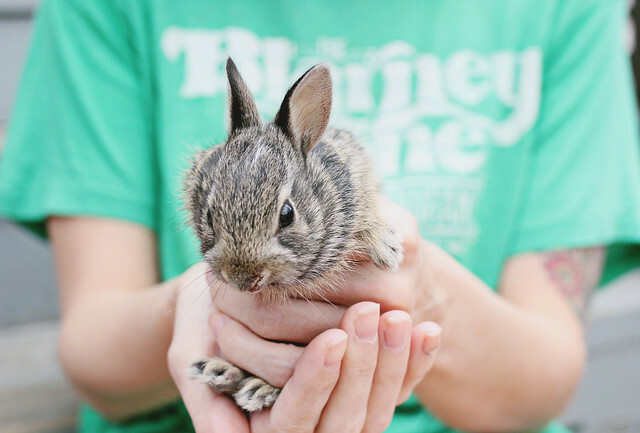 *We rescued a couple of baby bunnies from a prowling cat this week. In my world it does not get cuter than this. 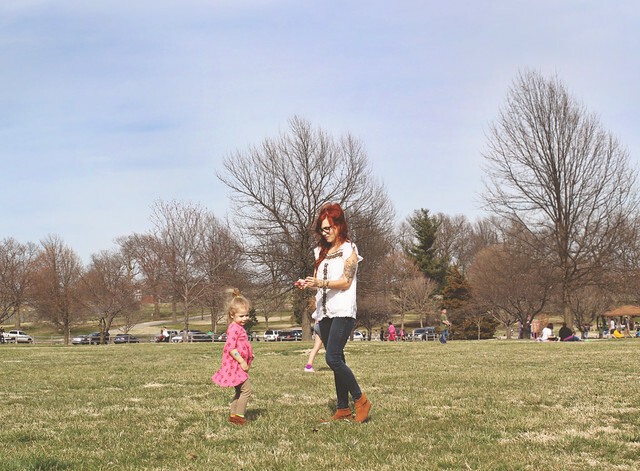 *We met some new friends at the park this weekend for kite flying. It was the perfect windy day for it. *Happy yellow flowers will always cheer me up! *Poesy decided to give ALLLL of her toys a bath. The swimsuit is something she's been wearing around the house off and on since it last snowed. *Hope has been taking piano lessons since last year and I think it's something she's going to continue to be interested in. This makes our musician hearts happy, but on top of that, it's really cool to see her developing strong interests and pursuing them. awww poesy!!! she's just so sweet. i'm a professional violinist/fiddler/singer/songwriter and both of my parents were professional musicians at one point or another. they would always push me to practice even if i didn't want to when i was hope's age, so don't be afraid to bribe at this point if she needs a little push!! Someday she'll thank you for it!! 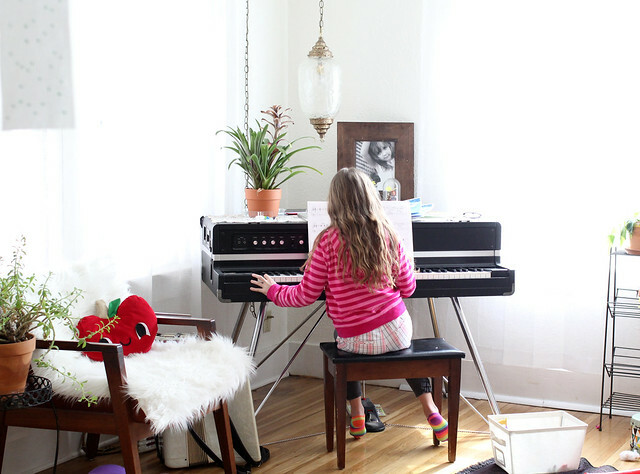 Love seeing young girls get started on piano and become musicians. Hopefully she keeps at it :) You're a wonderful mama to encourage it! awww, that picture of Posey giving her toys a bath is just precious! aaas such cute photos! The bunny is just adorable. Love these pictures! I'm definitely looking forward to April and the nice weather. Flying kits, saving bunnies and big yellow flowers, thats all you need in life! Have a happy April! the baby bunnies! 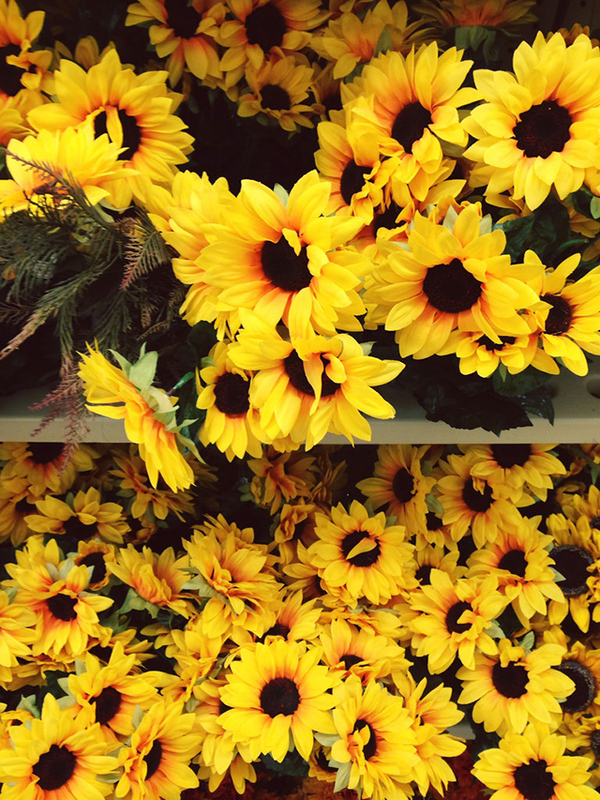 <3 and I love all of those pretty sunflowers! I love your photos... very natural. Cute bunny! oh the bunny!!! rabbits are my fav animals, gah so cute!!!! poe is so cute in that little swimsuit! !